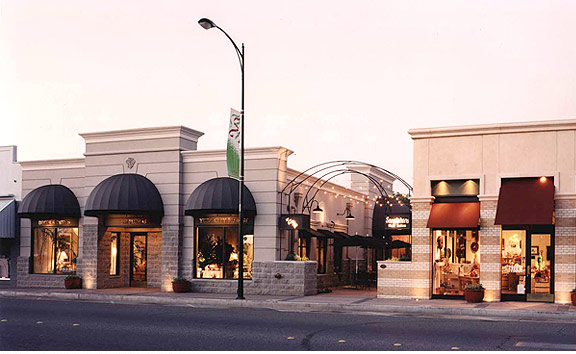 Two adjacent retail projects, one a rehabilitation and one a new in-fill building were planned simultaneously. The plaza between the two buildings creates courtyard frontage for two tenants and provides outdoor restaurant seating. The project received a Meritorious Design Award from the City of Yuba City.